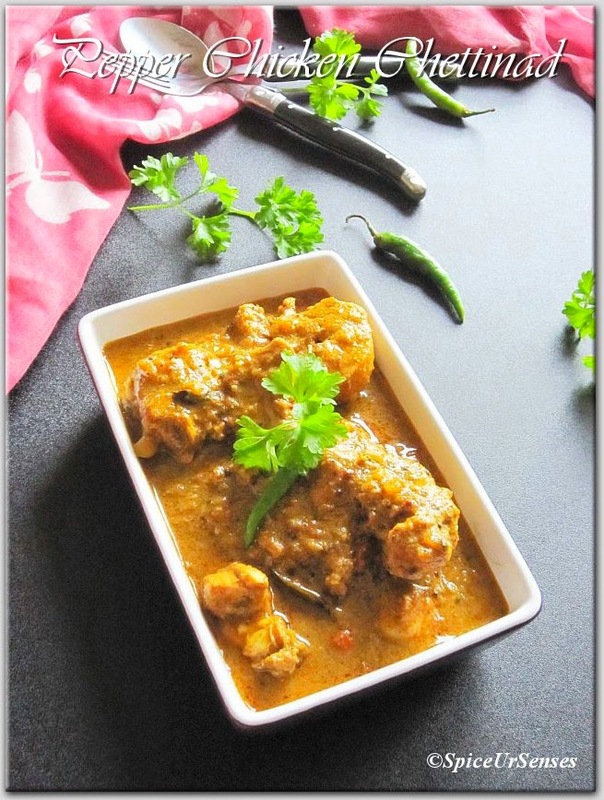 Pepper Chicken Chettinad is the cuisine of the Chettinad region of Tamil Nadu state in South India. 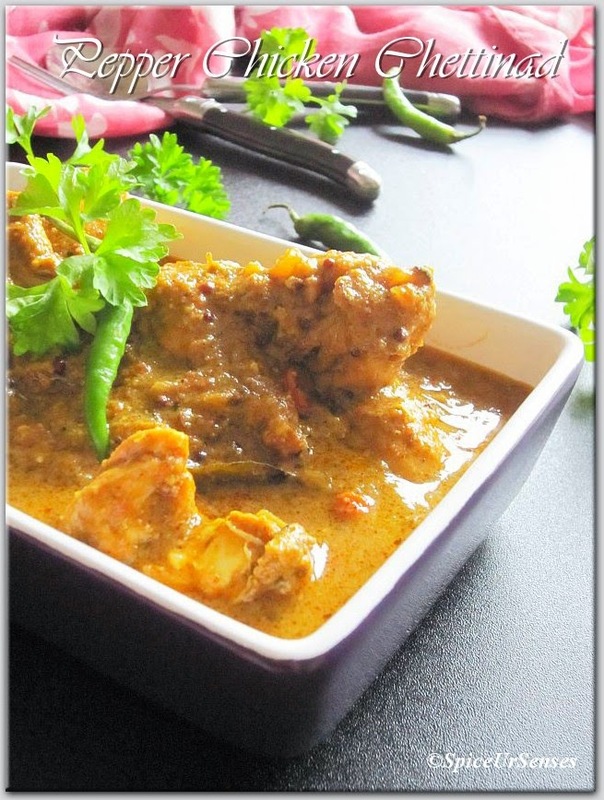 The Chettinad cuisine is known for spicy and the most aromatic dishes in India. 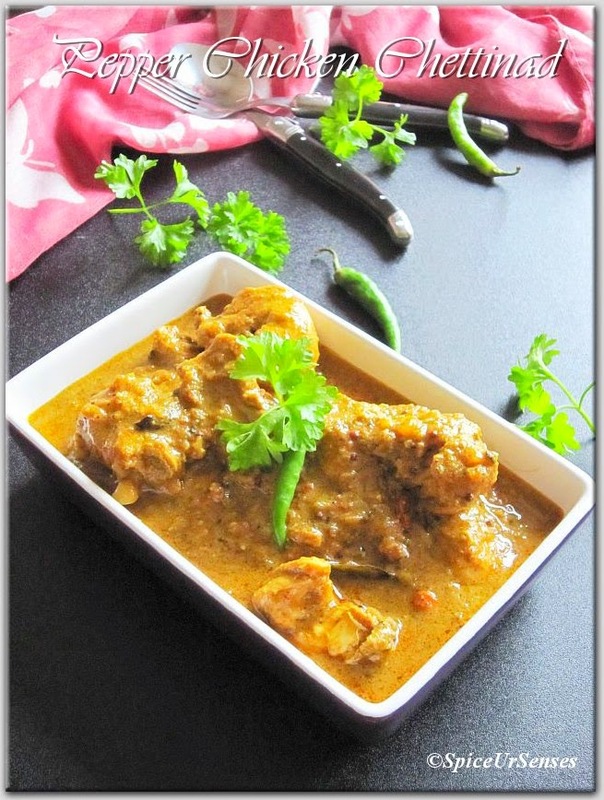 In this dish black pepper play the major role for the spices and I have tried cooking this dish without black pepper too and it taste as good as this dish. 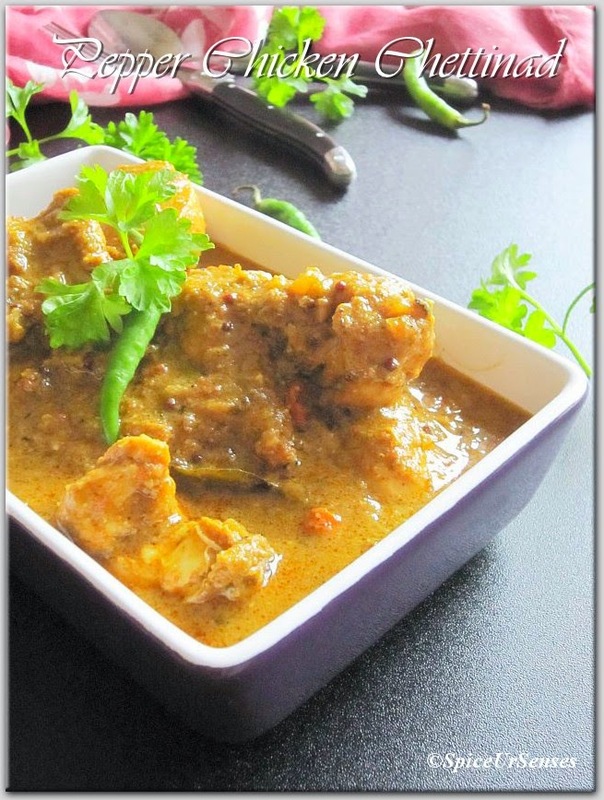 This dish has one speciality ever time you cook it taste different and Pepper chicken chettinad can be cooked as dry or even with gravy. 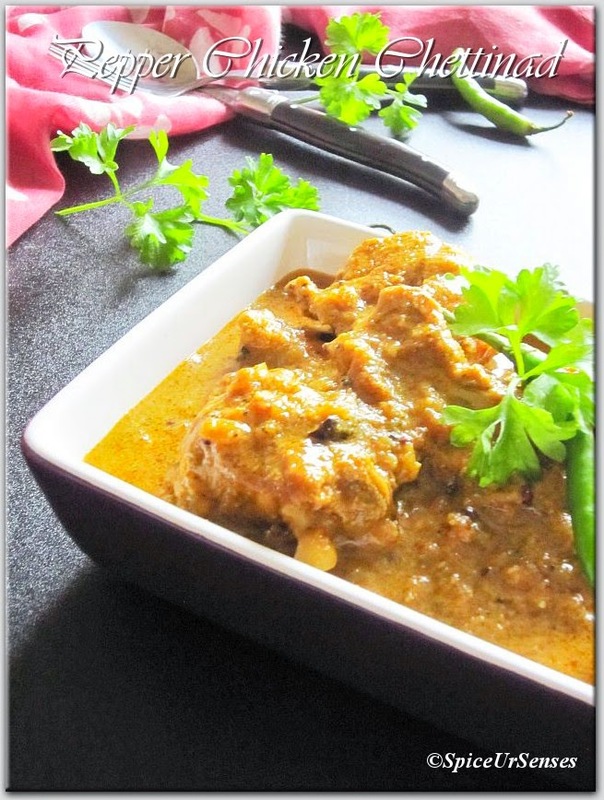 This is very easy dish with less ingredients and it take hardly 20 to 25 minutes to cook and it goes well with roti. I prefer with roti but you try with anything rice, roti, naan. In a deep frying pan/kadai, add oil and fry mustard seeds and curry leaves, then add onion, green chilli and fry for golden brown. Add turmeric, salt and chicken, fry for 2 to 3minutes. Then add red chilli powder, coriander powder, garam masala, chicken masala and ginger garlic paste, fry for another 2 to 3 minutes. Then add the tomato and cook for 7 to 8 minutes or till all the masala is coated well to the chicken and oil starts floating on top and you have a thick gravy. finally add black pepper and lemon juice and give a quick stir and allow the chicken to simmer on a low flame for few seconds. Serve hot with Naan. Roti or Rice. Chicken looks so tempting..it must be very delicious. The curry gravy looks so good!